A fraudster who impersonated the Special Adviser to the President on Media and Publicity, Femi Adesina, and attempted to fleece a Bayero University don of N300,000 for a nonexistent appointment in the Presidency has been convicted. Christian Efe Oyovweyho was yesterday, December 5, convicted and sentenced to 8 years of imprisonment by Justice Z.B. Abubakar of the Federal High Court Kano. The convict was prosecuted by the Economic and Financial Crimes Commission (EFCC) on a 2-count charge that borders on conspiracy and attempt to obtain, in contravention of sections 8(a) and (b) of the Advance Fee Fraud and Other Fraud Related Offences Act, 2006. 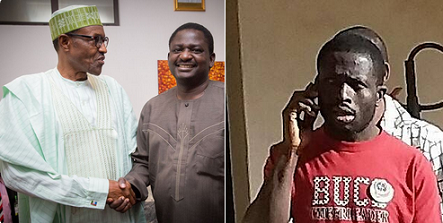 According to Galadanci, sometime in July 2016, the convict sent him a text message claiming to be Femi Adesina, SA to the president on Media and Publicity. The defendant fraudulently claimed to be speaking on behalf of the president and that the name of the professor has been forwarded for appointment in the presidency. The complainant further stated that the defendant claimed to be searching for a better office for him. Subsequently, the defendant asked the professor to make payment of the sum of N300,000 (Three Hundred Thousand Naira Only) in order to facilitate his appointment to one of Nigeria Port Authority, Nigerian Railway Cooperation and Rural Electrification Agency. At that point, the professor got suspicious and reported the matter to the commission. In her judgment, Justice Abubakar found the convict guilty of the offense he was charged with after she was convinced that the prosecution had proved the case against him beyond reasonable doubt. She subsequently sentenced him to 4 years imprisonment without option of fine on each of the two count charge. The sentence is to run concurrently.